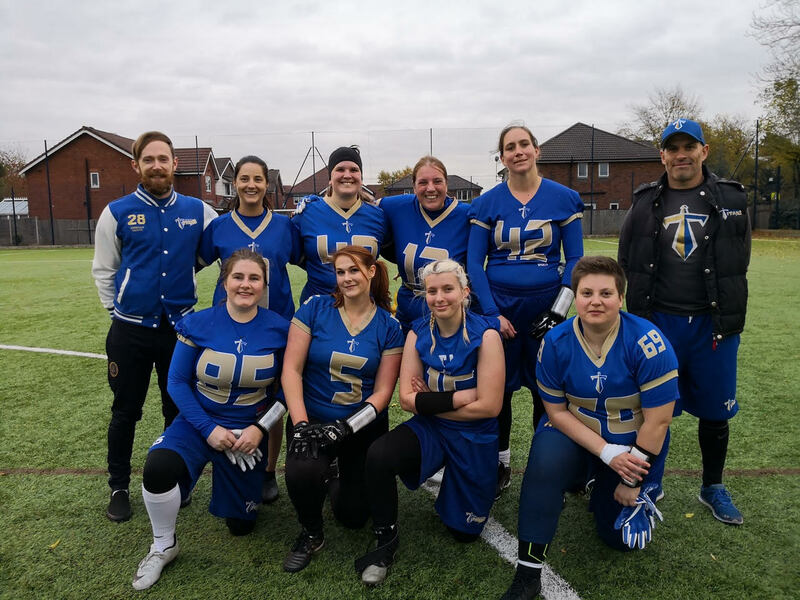 Despite finishing the final regular season game with only 4 fit players, the Titans managed to get a squad of 8 players for the Opal Plate finals in Sheffield on Saturday 24th November. Missing Defensive Captain Julie Gilmour who was out with a broken arm, the Titans had the opportunity to finish somewhere between 9th and 12th in the UK depending on how they fared. First up was University of Nottingham Gold, a team that Manchester had beaten in Opal 1, but lost to in Opal 2. 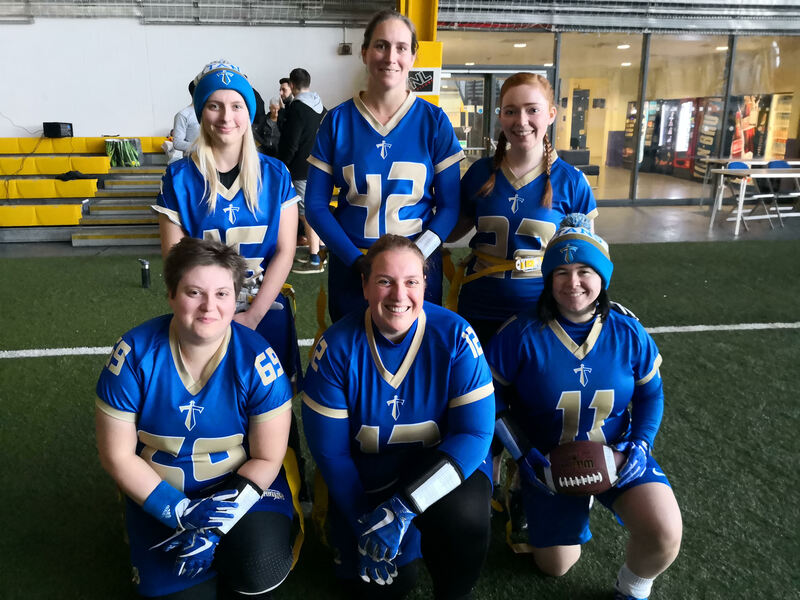 The Titans started well taking a 14-6 halftime lead thanks to TDs from Keely Edmonds and Brianna Hartridge, both converted by Morwenna Jessop. However turnovers plagued the offense in the second half and despite another Edmonds TD, Nottingham came from behind to win 30-20. 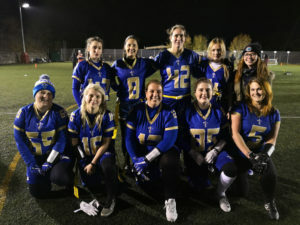 The 2nd game was a tough match-up against the Warwick Wolverines, who had defeat Nottingham Golf 19-12, but Manchester’s Offense scored 3 first half TDs; 2 TD Passes by QB Hartridge to Vicky Evans and Becky May plus a TD pass from Edmonds to Hartridge which Jessop again converted for a 19-6 lead. The Defense stepped up in the 2nd half with Edmonds showing off her skills on the other side of the ball with 3 interceptions. 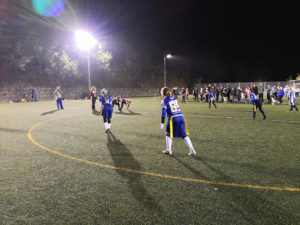 May also added an INT and Emma Jones recorded a Tackle for loss and they held the Wolverines to just one more score. Meanwhile Hartridge threw another TD to Edmonds for a 25-13 victory to keep themselves alive in the competition. The final game of the Round Robin competition was Sheffield Hallam Rangers, who found themselves playing due to Portsmouth pulling out. 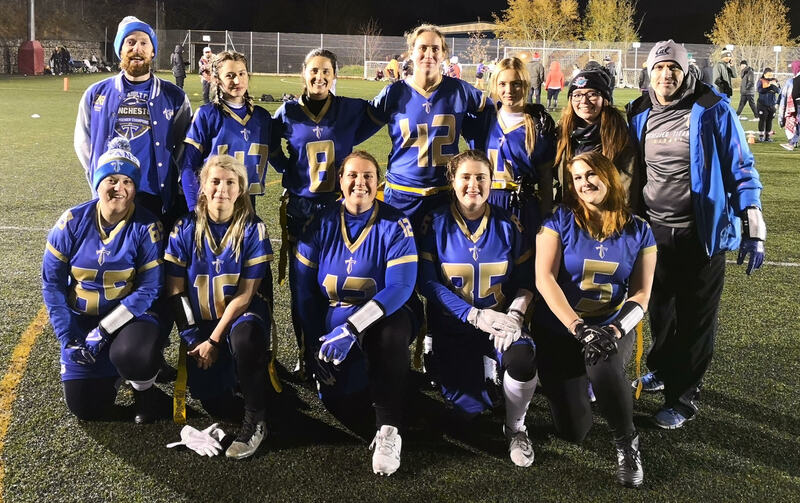 They had pushed Nottingham close, just losing 19-18 on a failed 2 Point Conversion in the last minute of the game. 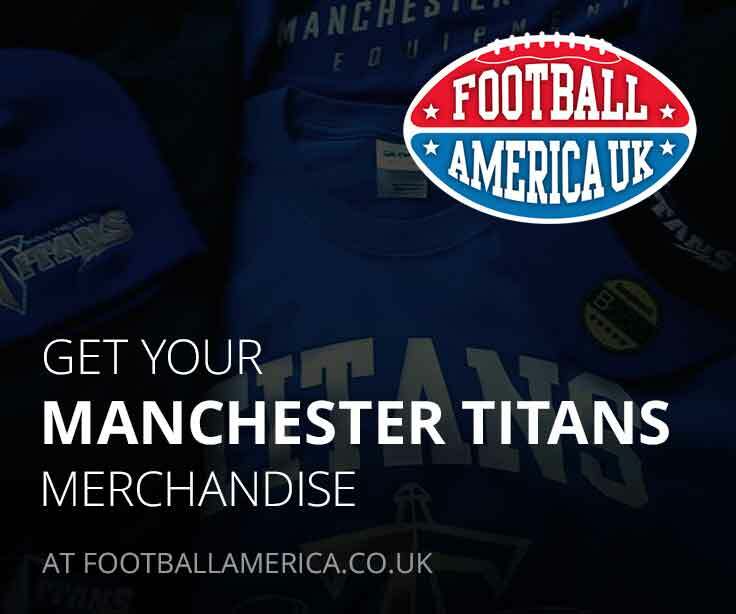 However the Titans Defense recorded a shutout with May & Edmonds again making key interceptions. Meanwhile the offense was efficient and didn’t commit a single turnover as Evans, Edmonds (2), Hartridge all scored TDs. There was even a first ever Touchdown for Natalia Bradford despite a leg injury that restricted her playing time. Meanwhile May and Edmonds added extra points for a 32-0 victory. After tallying up all scores, 3 teams were tied with 2 & 1 records on the day but the Titans took the Plate Trophy on points difference (+34, compared to +13 and +4).